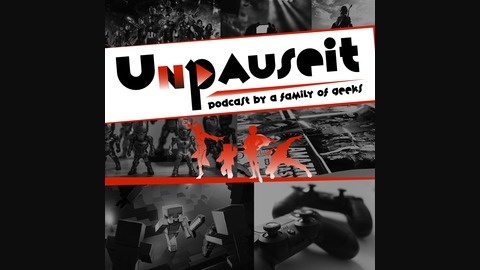 UnpauseIt is a podcast by a family of geeks! 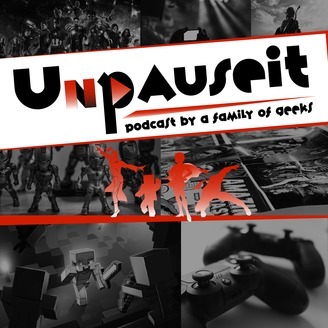 With so many amazing and gloriously nerdy entertainment projects available today - movies, video games, series, events - our family of four will tackle them all and give you our takes. From 43 to 9, men and women and boys and girls will enjoy a rowdy time of real reviews. If you can get through our reviews of SHAZAM! and Captain Marvel (infused with disdain of D.C. movies), you'll get an earful of the kids sharing their experiences playing Zelda, Minecraft, and God of War. As a mom sitting between the two kids, I got TWO earfuls! Let your kids listen so we adults can share in the ignorant bliss of parenting gamers.